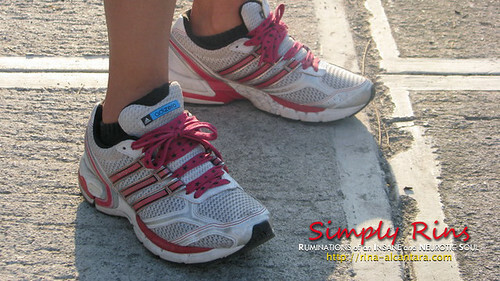 She replaced the usual white shoelace with a fuchsia colored one with stars, to give her running shoes some personality. Oh yes, out with the boring white and in with the new fancy shoelace! This is my pair of running/gym shoes. Smileys and polka dots! I found this shoelace in a small stall inside Theater Mall in Greenhills Shopping Center. I cannot remember the exact price but I'm pretty sure it didn't cost more than Php100. 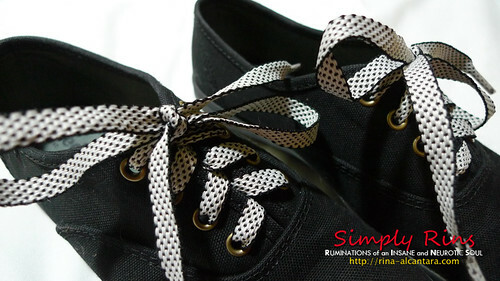 Recently, chanced upon another pair of fancy shoelace at Artwork in Trinoma Mall in Quezon City. There were several choices but I figured I'd stick to a simpler design for my black sneakers. 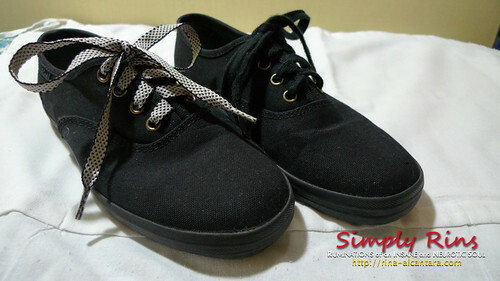 This is my pair of Keds all-black sneakers. This came with a black shoelace, as you can see in the photo, is still attached on the right shoe. 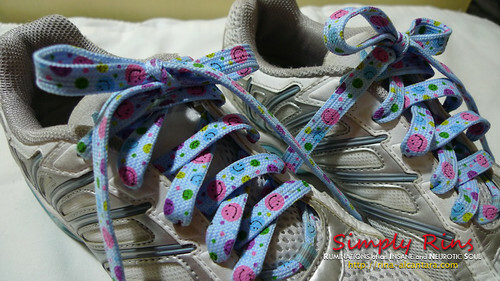 Don't you agree that the new shoelaces gave my sneakers a twist? The design is a simple combination of black and white. I still wanted a classic feel for my black sneakers. 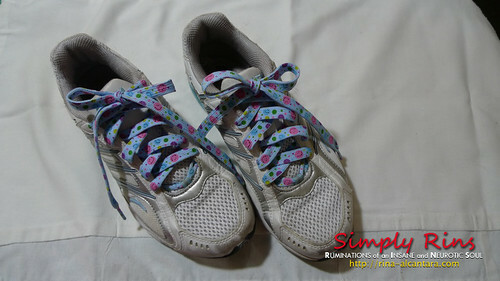 I bought this pair of shoelaces for less than Php50 at Artwork.